LifeStyles Extra Strength Condom. 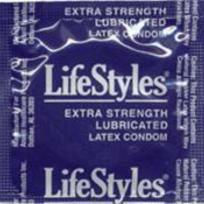 Lifestyles Extra Strength is one of the thickest condoms (.09mm) made today. The increased thickness makes this Lifestyles more durable. Dependable and durable for today's men. Lubricated and ready for use. Stock yourself today.